Home » Buy » Why Buy Stock Images? 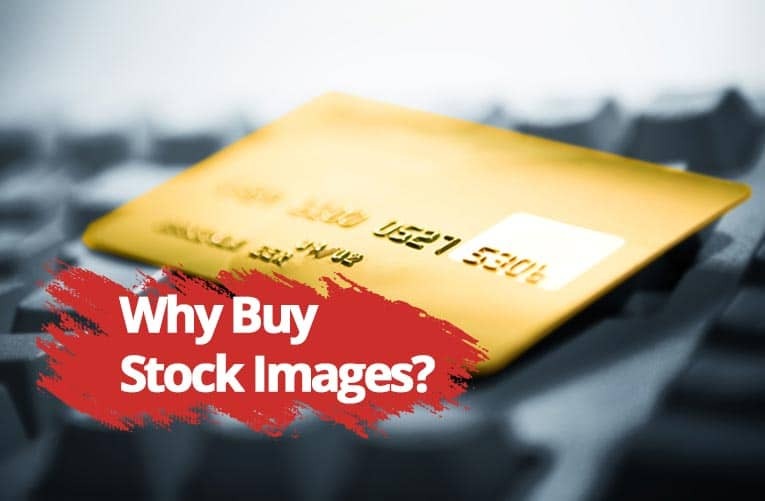 With all the free photo sites out there, why would you, as a designer, want to buy stock images? This is a short list of a few reasons why licensed stock photos add value to your work in a way free images cannot. One of the most important features in stock photography is it's a great resource to add richness, depth and overall quality to your designs, allowing you to create compelling, audience-engaging advertising or promotional materials, among other uses. Stock imagery give you access to a wide variety of unique, exotic photos from all around the globe, in diverse concepts and compositions. You can buy images that convey a global, diversity-driven image for your brand, product or design. Most designers don't have either a professional photography studio, equipment nor the skills and experienced necessary to produce decent quality imagery. And often times they also lack the budget to acquire those, or to hire a professional to shoot the images they have in mind. Stock photography is an inexpensive alternative to get visually appealing imagery that fit in your vision, by eliminating the need to hire a photographer or buy the tools to create your own. Stock agencies' reputations are based on the quality of their images. All serious agencies screen and select the images to be included in their collections for quality, content and production value or uniqueness. Plus, they all put emphasis in variety, aiming at offering lots of images for every topic, subject or style you can think of. There is a quality level for every budget, and content for every project. Most of the top microstock (or stock photo) agencies sell images based in Royalty Free license. This licensing model is not only one of the most affordable and convenient for their one-time fee, but also one of the most flexible. Purchasing a Royalty Free license to an image, you acquire the right to use it in multiple ways and for various purposes, with no time limit and with very few restrictions. When you factor in the amount of time and energy you would exert in putting together a photo shoot for even the simplest subject, be it shooting yourself or hiring a professional, it just doesn't make sense to do it. Of course there can be times where you won't be able to find the exact image you are looking for in a stock photo library. But with the long list of reputable agencies, and considering their huge libraries get to include tens of millions of images each, it's more than possible that you'll find the right photos to cover your needs most of the time. Most photos are copyrighted, and copyright owners may restrict or condition the use you can make of their images. To use images depicting people in commercial projects, you must assure you have express permission from each person included in the image, in the form of a model release document. Free photo sites might not charge you to download and use the images they offer, but they don't check for copyright and model releases status in them either. By using them, you are assuming the risk of potentially incurring in copyright or right to privacy infringement, which can cause you a lot of legal problems. Stock photography companies always revise and certify the legality in the images they offer, granting all the permits from copyright owner and models are in place, and that you can use the photos for commercial purposes legally. This list could go on and on, but even these few items give you plenty of compelling reasons to jump into the fray and buy stock images for your projects. They come at very low cost for the number of benefits you get from using them in your designs.